Yes, we are making a bold statement with the title of this post. 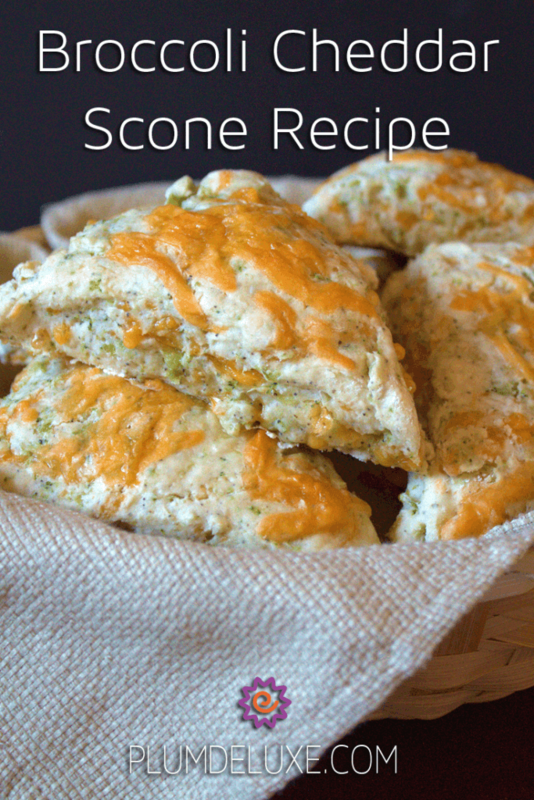 However, when you combine classic flavor combinations such as broccoli and cheddar with a perfect buttermilk scone recipe it makes a pretty amazing scone. 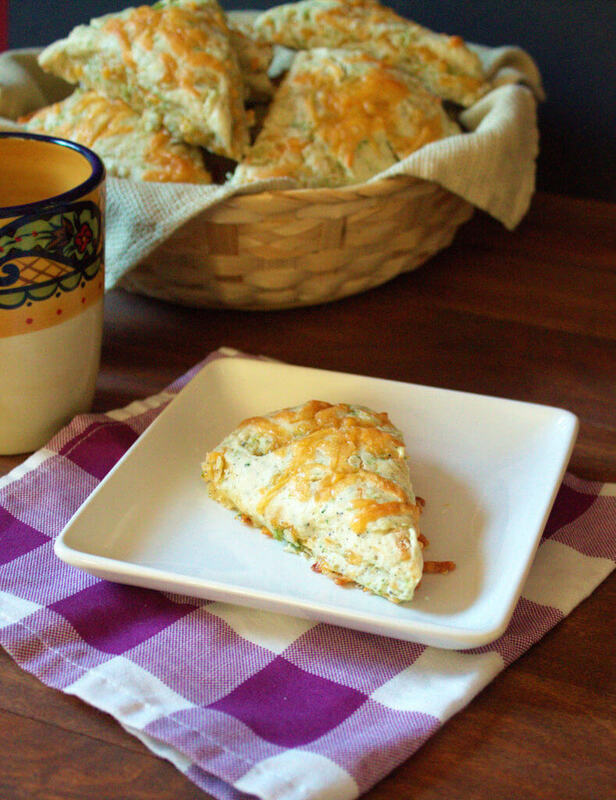 That’s why we aren’t losing sleep over the claim that this broccoli cheddar scone recipe is, in fact, the best savory scone recipe you will have this year, maybe even ever. You’re probably familiar with the combination of broccoli and cheddar in the classic soup, but we’ve turned that concept on its head by putting them in a scone instead. We started with our favorite buttermilk scone recipe; it’s one that comes out perfectly flaky and crumbly. It’s just what you’re looking for in a scone. Add to that the cheesy goodness of cheddar and the texture of lightly steamed broccoli and you’ve taken the scone to a whole new level. For this recipe we chose to use a mild cheddar because it has a more muted and slightly less bitter flavor than sharper cheddars. We think it makes the scone feel more creamy and luxurious. However, feel free to play around with the type of cheese and find one that suits you. 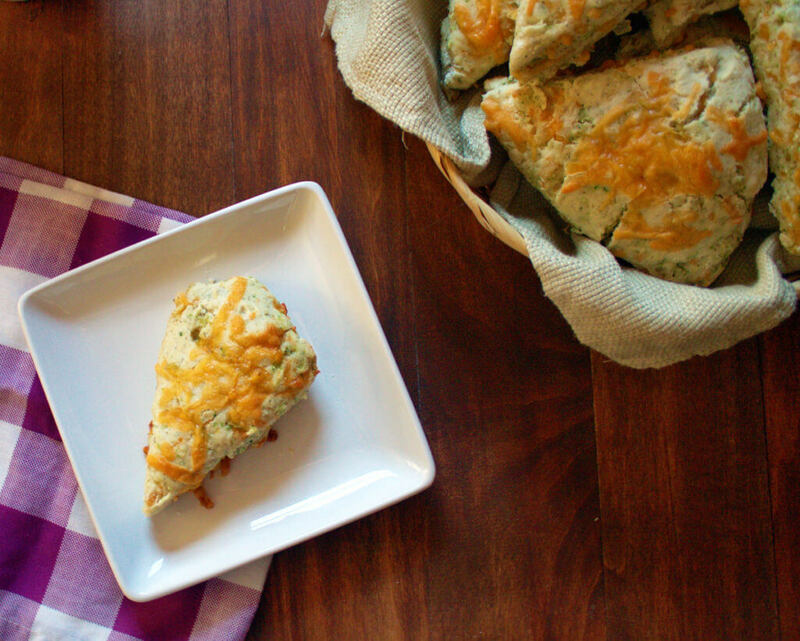 The best part about this savory scone recipe is that it goes with nearly everything. It makes a wonderful breakfast or snack paired with a strong-flavored tea such as House Blend black tea. They make a great savory addition to a typical tea party menu, which helps to balance out the sweeter components. Or you could very easily incorporate it into a larger meal, pairing it with a nice soup or salad. We think it would be a great companion for our caramelized carrot sweet potato soup. Really, with a great scone like this the pairing possibilities are endless. In a large bowl, combine the flour, baking powder, salt, and pepper, mixing well. Add the cubed butter and use your hands or a pastry cutter to mix until crumbly. With a spoon, stir in the grated cheese and broccoli, until well combined. Stir in the buttermilk, until a ball of dough forms. Place dough onto a floured surface and use your hands to shape into a 10-inch round circle. Cut the dough into 8 wedges and transfer to a parchment-lined baking sheet. Use the last tablespoon of buttermilk to brush the tops of the scones.